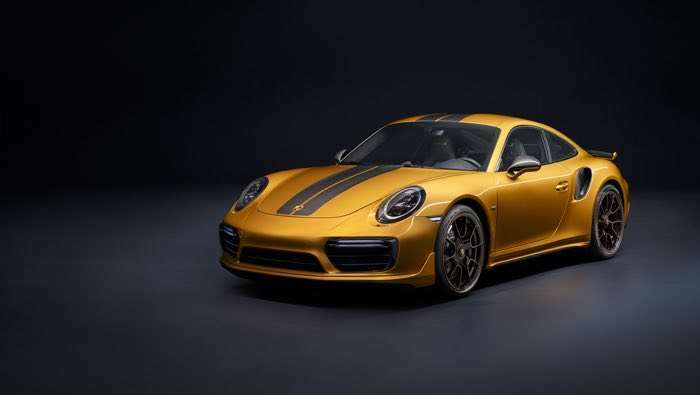 The Porsche 911 Turbo S Exclusive Series was made official last month and Porsche recently showed the car off at the Goodwood Festival of Speed. Now Porsche has released a video of the new Porsche 911 Turbo S Exclusive Series and we get to see the design of the car and also it in action at Goodwood. The Porsche 911 Turbo S Exclusive Series has an extra 27 horsepower over the standard 911 Turbo S, it comes with a total of 607 horsepower. This gives the car a top speed of 205 miles per hour and a 0 to 62 miles per hour time of just 2.9 seconds, it also comes with an exclusive power kit and 750 Nm of torque.